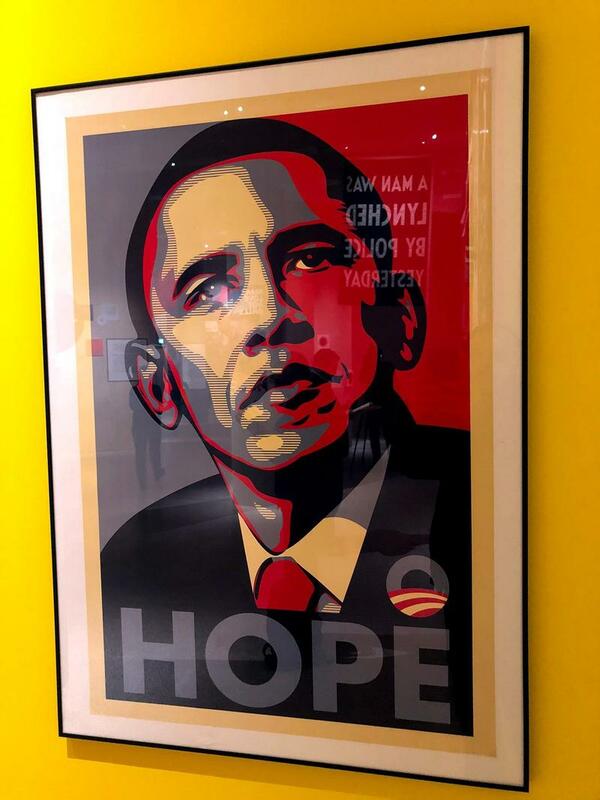 Shepard Fairy's adaption of the original Obama 'Hope' poster, seen at an anti-Trump rally in Oregon, January 2017. Taken by Scott Wong. We've brought together the best art, design and immersive exhibitions from around the UK, which explore topics such as political and social graphic design, pattern art, refugees and their stories and more. These group and solo exhibitions – including work from Hattie Stewart, Olivier Kugler, Chris Riddell, Edel Rodriguez – will inspire and educate you. We’ll be updating throughout the year as more events are announced, so keep checking back. We kick off with nine exhibitions, beginning with the Wellcome Collection's Somewhere in Between and ending with the House of Illustration's Illustration from the Refugee Crisis. Four contemporary artists collaborate with scientists to give shape to intangible ideas at this exhibition at the Wellcome Collection. 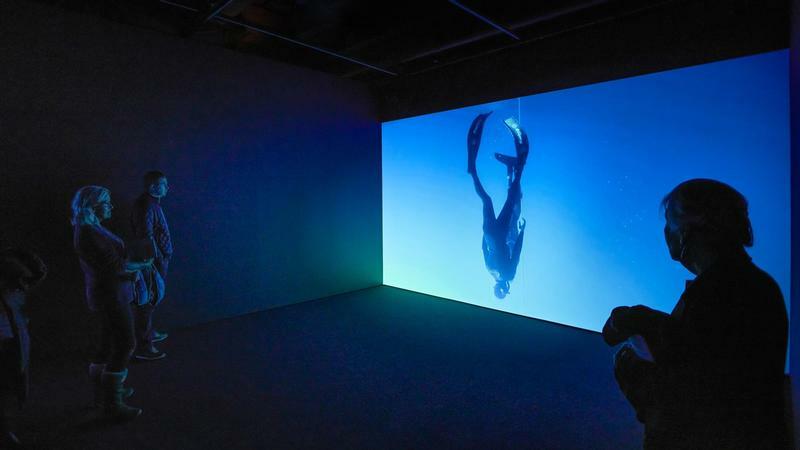 Somewhere in Between brings together the work of Martina Amati, Daria Martin, Maria McKinney and John Walter, who explore ideas that are vital to human life – ideas about our senses, our sexual health, our bodies’ limitations and where our food comes from. In this exhibition see how public engagement with politics has changed dramatically since 2008, and how graphic design was crucial in dictating and reacting to major political moments of our time. Expect to see everything from the 2008 financial crash to Brexit, the refugee crisis and US President Donald Trump's election. 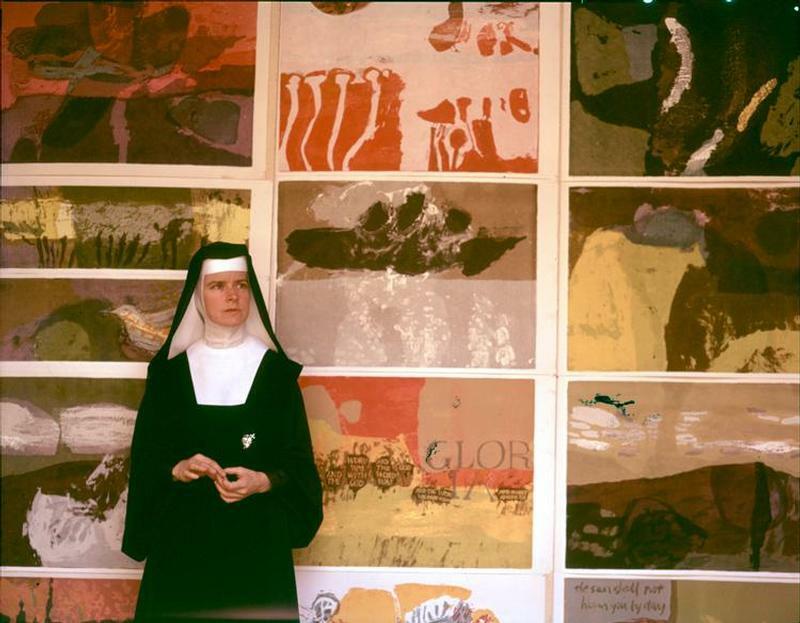 Something a little more off-the-wall, this exhibition explores the life and work of the unlikely character, Los Angeles nun-turned-artist Corita Kent. Her work covered everything from religious obedience to protest about war, racism and civil rights, which caused controversy among orthodox churches and the local archbishop. The exhibition will showcase 40 pieces from 20 years of her life (1952-72), which she created using collage, cut-and-paste and silk-screen printing to cover pop-culture references such as advertising slogans and beat poetry. London-based illustrator and legendary doodle-bomber Hattie Stewart has opened an exhibition of new work which you can lie on and look up at. Hattie and a team of painters have put together a giant piece of artwork on a wooden platform, positioned under a mirror so it reflects onto the ceiling, making for a rather trippy experience if you lie down and look at yourself. Hattie’s signature bright, bold and playful characters and scenes make an appearance. 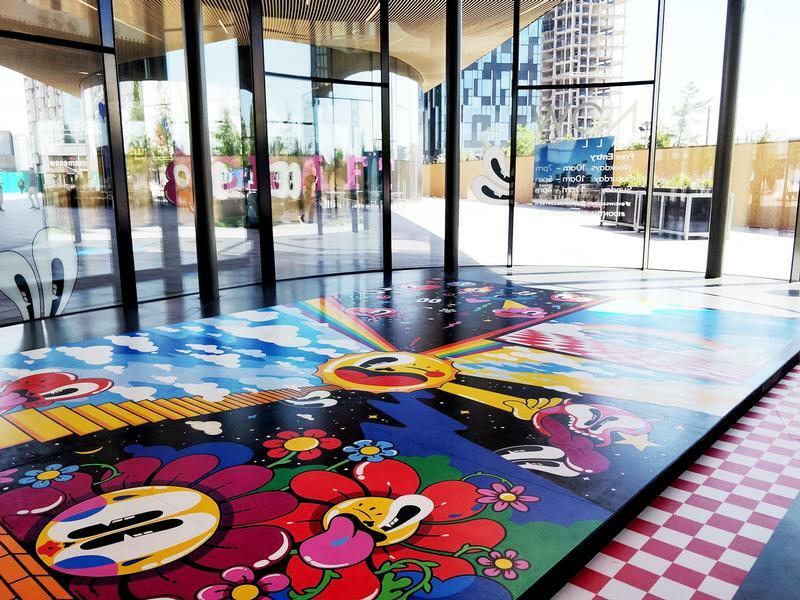 The artwork references to psychedelic art from the 60s and post-modern classics like Who Framed Roger Rabbit, offering the viewer a clean break from reality. Watch our interview with Hattie Stewart. British artist and designer Edward Bawden will be celebrated with this exhibition, taking afFirst look at every aspect of his 60-year career. 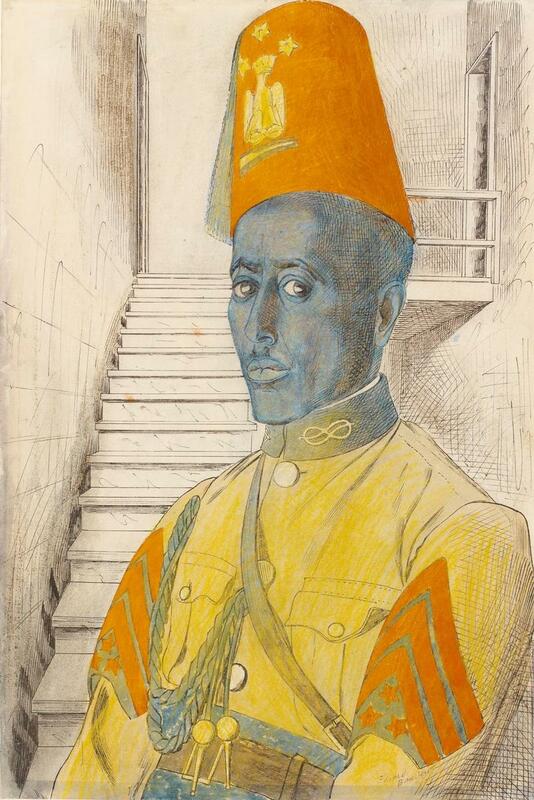 The exhibition will showcase a number of previously unseen works from the Bawden’s family private collection, as well as 18 rarely seen war portraits displayed together for the first time. 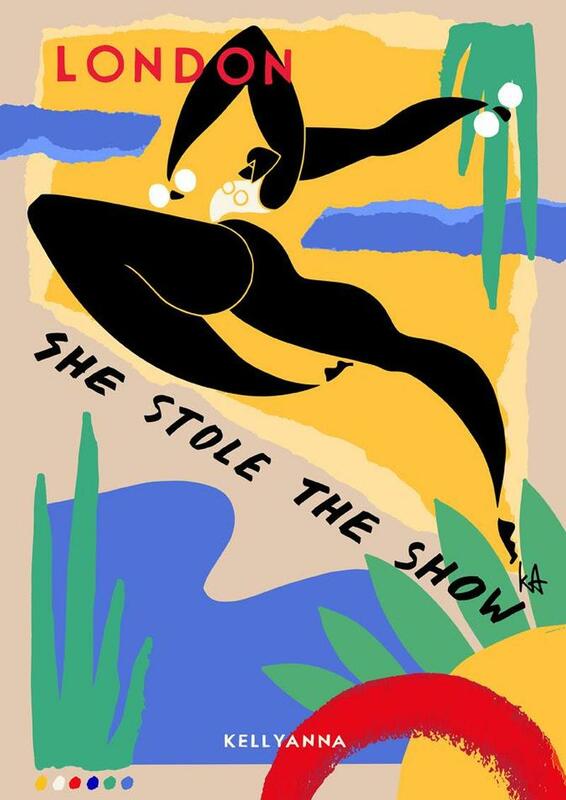 Edward was an innovative graphic designer, book illustrator and printmaker best known for his linocuts and witty designs he made for companies such as Shell and Fortnum & Mason. 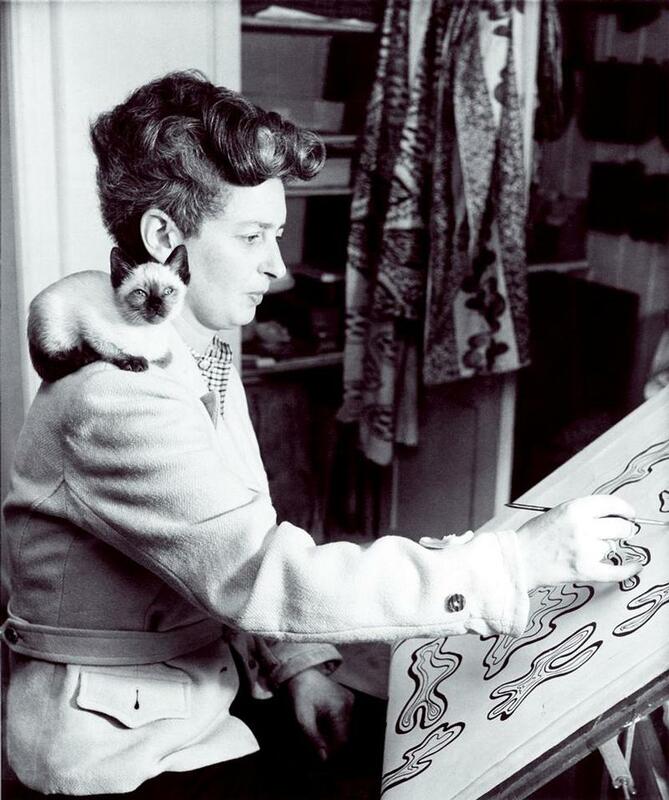 Textiles designer behind the fabrics used on London’s tube seats, Enid Marx, was also a printmaker and illustrator who defined mid-century design (alongside contemporaries such as Edward Bawden). To coincide with the 20th anniversary of her death her work – spanning over seven decades – will be celebrated in this exhibition, including stamps for Queen Elizabeth II’s coronation and book covers for King Penguin. 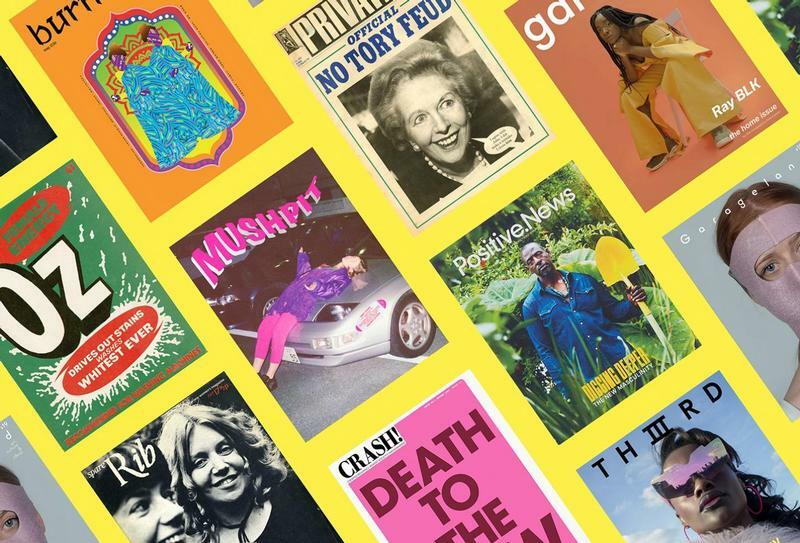 This new exhibition focuses on independent British magazines and print publications from the last 100 years, including political satire Private Eye, Little White Lies and Gal-dem, that were seen as "progressive", controversial or socially focused. This includes feminist titles, news and current affairs and culture, food and even architecture. The exhibition aims to explore how independent titles made and disseminated, from "concept to design to print to distribution". London illustrator and champion of women Kelly Anna is taking over the Book Club in London’s Shoreditch as part of their Summer of Sport season. Kelly’s show, She Stole The Show, explores external factors and internal thoughts that lead to self-doubt and constant pressure felt by the social-media obsessed generation. Through her bold graphics, strong figures and witty slogans, Kelly will be creating a live mural on the opening night of her exhibition for guests to watch and explore concepts of strength and power, using a number of mediums. She’ll also be creating limited edition printed curtains, clothing and more. She’s also invited the Art of Ping Pong to collaborate on a redesign of the Book Club’s ping pong room. See our interview with Kelly Anna. 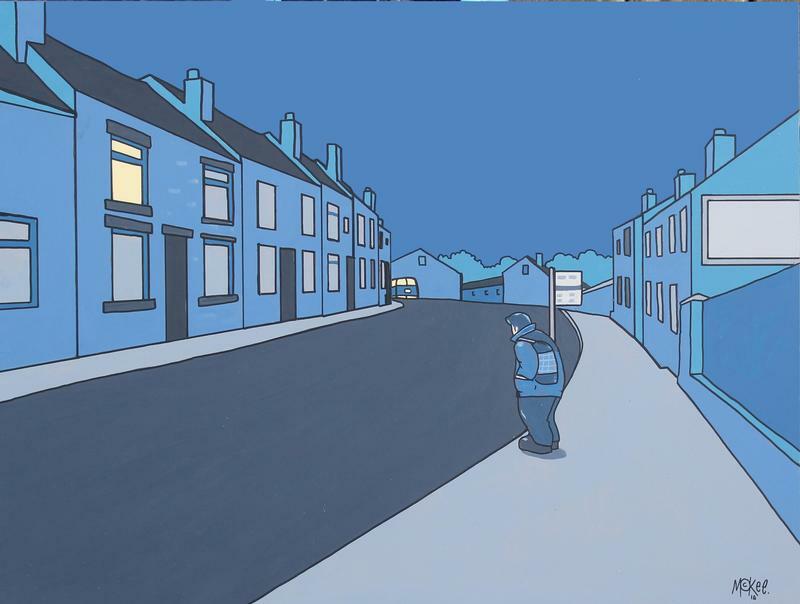 Sheffield artist Pete McKee celebrates the life of the working class in this exhibition, along with other artists, filmmakers and photographers. With a nostalgic tinge and post-modern perspective on its themes, this exhibition hopes to connect a younger generation to value the working class and their life, such as poverty, community, family and love. An exhibition telling refugee stories both observed and experienced first-hand. Multi-media work by 13 contemporary illustrators will include Olivier Kugler’s portraits from Calais, George Butler’s reportage from Syria, animation by Majid Adin and manga by Asia Alfasi. 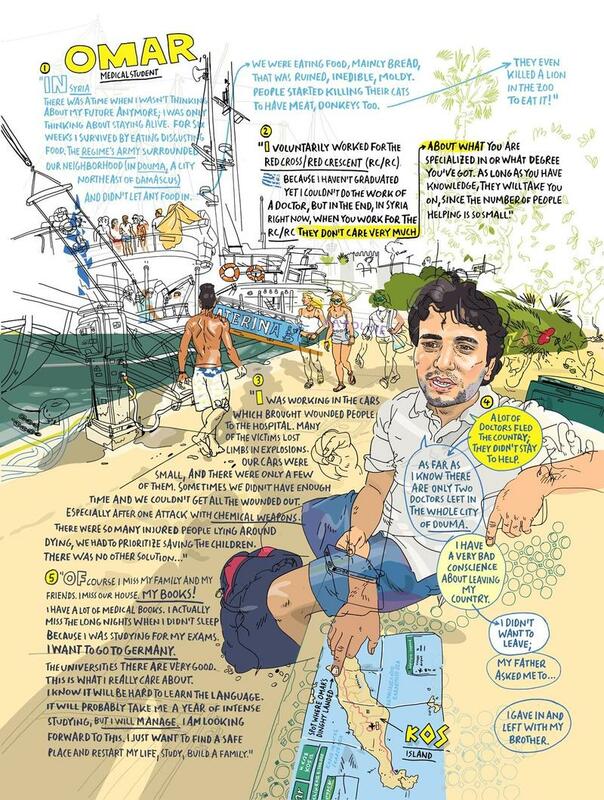 See more of Olivier Kugler's artwork.